This is how entrepreneur Ali Bensouda ended a passionate pitch to a group of prominent venture capital (VC) investors at the recent Africa CEO Forum, which took place in Abidjan, Ivory Coast. He is the co-founder of Omniup, which offers free wifi access in public places to users prepared to view a 10-second advertisement on their mobile phones. The startup competition was moderated by Amrote Abdella, the regional director of Microsoft’s 4Afrika initiative, which works closely with startups on the continent. Bensouda competed against Senegal’s InTouch mobile money platform; Kenya’s Twiga Foods, which connects farmers and vendors for the sale of fresh produce; mobile technology company Africa’s Talking, also from Kenya; and Nigeria-based Thrive Agric, a crowdfunding platform for farmers. The winner (Twiga Foods) was announced at a gala function later that evening. Preceding the pitch session, the group of investors discussed a variety of issues related to startup investing in Africa – from whether backing tech ventures can be profitable to whether there are opportunities beyond the bigger economies of Nigeria, South Africa and Kenya. Here are some of the major take-aways from the discussion. Investing in startups is risky business, with the vast majority of ventures eventually failing. To lower the risk, Omobola Johnson, senior partner at TLcom Capital – a VC firm focused on technology-enabled services – looks for a competent founder and a solid business model. She said African startups typically employ relatively basic technology, such as SMS, which is why success depends on a strong team and business model, rather than the technology itself. “We take very little risk on technology. It is more around the business model… and the vision of the entrepreneur, and how he is going to tackle that particular opportunity or challenge,” she explained. The small size of most individual African economies means startups often have to expand geographically for growth. “I spent six years in India… and one of the mind resets I had to do when I started investing in Africa, is just the market size. If you look at Ivory Coast, it is the size of Delhi,” commented Ameya Upadhyay, who focuses on financial inclusion investments for Omidyar Network, an impact investment firm started by eBay founder Pierre Omidyar. But businesses operating in regulated industries, such as financial services, typically find it difficult to expand to other countries as regulations differ from one territory to another. He added that regional economic blocs (such as the East African Community), together with common regional currencies (like the CFA franc used in French-speaking West and Central Africa), make it easier for startups to enter neighbouring countries. TLcom Capital’s Johnson also emphasised the importance of scalability. “Any company that cannot scale to serve tens or hundreds of thousands of customers is not really what a VC will be looking at in this part of the world,” she noted. When it comes to the most lucrative industries to invest in, for Johnson it is all about offering services – including banking, commerce, energy, health and education – through mobile phones. She also highlighted business-to-business services as a high-potential area, adding Nigeria alone has over 20 million SMEs that are underserved. For instance, TLcom Capital recently led a US$5m financing round in Terragon, a mobile marketing company which provides SMEs with customer reach and engagement solutions. Although many of the recent VC investments in fintech focused on retail payments and unsecured consumer credit, Upadhyay said there are unexploited opportunities in “unsexy” areas such as merchant payment processing and wholesale lending. In addition, Omidyar is seeking investments in off-grid energy and education technology. He added that the continent’s digital financial services industry needs to progress beyond giving people access to bank accounts and ways to pay, to “tougher-to-sell” insurance and investment products, which “households need to protect themselves against shocks and avoid old-age poverty”. Olawale Ayeni, regional head for Africa investments at IFC Venture Capital, noted his organisation has deployed about $100m in direct and indirect investments into the continent’s early-stage tech startup ecosystem. 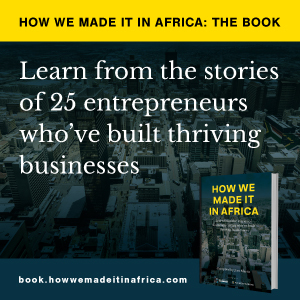 Its portfolio includes Andela, which trains software developers in Africa and hires them out to global tech companies, and Mobisol, an off-grid solar energy provider. The panellists noted a scarcity of tech talent on the continent. “I find companies which are based in Kenya, Nigeria and Ghana who are setting up tech offices in Lisbon (Portugal)… just because they spent six months trying to find a CTO, and they couldn’t,” said Upadhyay. One of Microsoft 4Afrika‘s AppFactory programmes, in the Dzaleka refugee camp in Malawi, empowers refugees to create mobile and Windows applications. In recognition of this talent shortage, Microsoft has developed a programme to improve the digital skills, coding capabilities and employability of young graduates throughout the continent. It recently launched its 16th AppFactory – or Apprenticeship Factory for Developers – in the town of Nanyuki in central Kenya. Here apprentices spend up to six months working with senior software technicians, developing essential workplace skills and the ability to design and implement modern software solutions. “In Africa, startups are very comfortable with mobile technology, which they have used to revolutionise industries like finance and agriculture. Where we’re investing in, is around more modern technologies like cloud, artificial intelligence, data analytics tools and virtualisation,” added Abdella. The past decade has seen rising activity in the continent’s startup investing space. A study by Partech Venture Capital shows that VC funding raised by African tech companies in 2017 totalled $560m, compared to $366.8m in 2016. But Upadhyay noted there still isn’t enough local seed funding – cheque sizes of between $50,000 and $300,000 – for entrepreneurs to hire their first staff and prove their idea. Investments of this size are typically not feasible for international institutional players, as they need to be accompanied with mentorship, for which investors on the ground are more suitable. The panel participants also highlighted the fact that much of the capital for VC investments in Africa still come from foreign funders. In June 2017, TLcom Capital announced the first close of its TIDE Africa Fund, with commitments of $40m. According to Johnson, a quarter of the fund’s capital came from local backers – including the African Development Bank and Nigeria’s FBNQuest Capital – with international investors, such as French development finance institution Proparco, accounting for the balance. “Unfortunately that is what it’s going to be like for quite a while,” said Johnson, adding that many investors on the continent remain uncomfortable investing in technology. Internet usage in Africa is growing rapidly, and, according to McKinsey & Company, could add $300bn a year to the continent’s GDP by 2025 – while transforming key sectors like agriculture, retail and health. “Every 10 years there seems [to be] a new trend in Africa. The last 10 years was the story about a rising middle class. The next 10 years, we believe, is going to be about the digital economy,” commented Ayeni of the IFC.